The inflammation fighters in omega-3 fatty acids may take aim at a surprising target—breast cancer cells. Though research is in the early stages (so far it has only been done on mice), this finding could have a profound effect on people battling breast cancer. The study: Over the course of a few months, researchers at the University of Nebraska fed mice diets equal in fat and calories. But in one group, the fat source was the omega-6 fatty acids found in olive oil, while in the other it was the omega-3 fatty acids found in fish oil. Next the researchers injected the mice with cancer-causing cells and then tracked the cancer’s progress. The findings: The mice on the omega-3 diet had slower tumor growth, tumors half the size and less cancer spread than the mice fed the omega-6 diet. Drilling down further, the omega-3 mice had more anti-inflammatory cells, which helped keep their immune systems healthy. The omega-6 mice had more inflammation, which, in turn, can suppress the immune system. The takeaway is that a diet rich in omega-3 fatty acids may both stimulate the immune system to better fight off cancer and reduce the inflammation that would otherwise contribute to its spread. Note: This study did not look at whether omega-3s can help prevent breast cancer from developing to begin with. Remember that the researchers purposely caused cancer in the mice to see how omega-3 fatty acids might control its growth, rather than inducing cancer with carcinogens and then trying to block its development through diet. 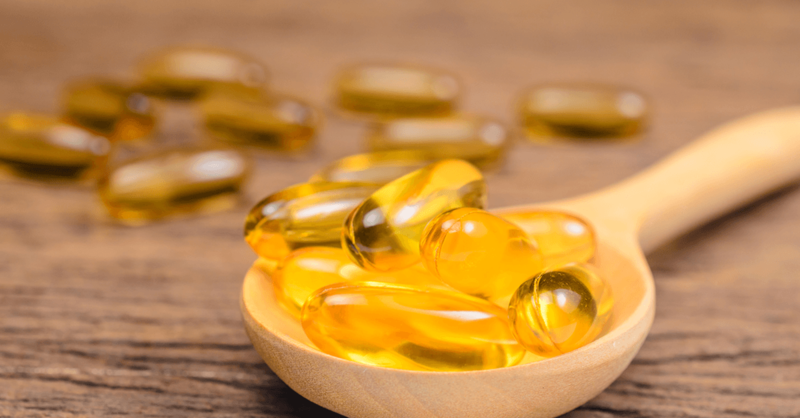 While the research is promising, more studies will be needed to determine how omega-3s can influence breast cancer in people. However, there’s no reason not to improve your diet while waiting for more definitive research. Some of the omega-3 fatty acids in fish oil are essential nutrients, meaning that our bodies need them to survive but cannot make them. So we have to get them from food, notably fatty fish. But despite everything we already know about the health benefits of omega-3s, most Americans still do not eat the recommended two servings of fatty fish twice a week…so that’s a good step everyone can take. Many studies done on the merits of omega-3s suggest that getting them from supplements does not convey the same results as getting them from food. However, if you opt for fish oil or krill oil capsules or even nonfish omega-3s from algae instead of or in addition to fatty fish, don’t overdo it. Follow the directions on the bottle, typically for a total of one gram per day. As with everything in life, too much can have adverse effects. High levels of omega-3s prevent blood clotting, and while rare, there is the potential for it to be toxic. But remember that it’s nearly impossible to go overboard when you get them from food.